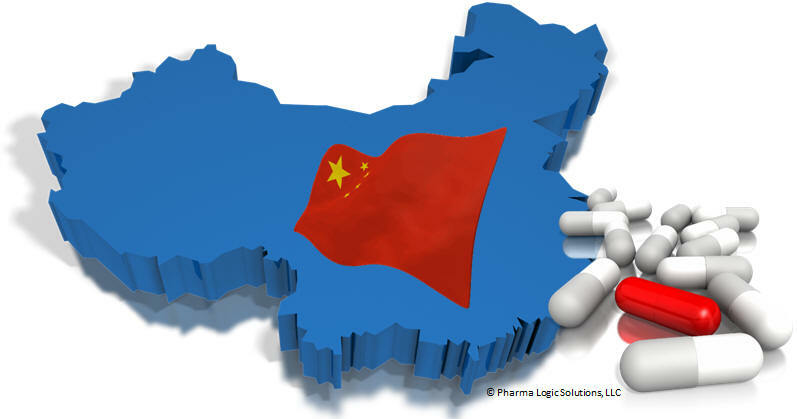 The recent focus has been on regulations relating to the Chinese National Essential Drug List (NEDL) and how it will be applied under a new law. The new law implements the Chinese Electronic Drug Monitoring Network to track prescription drug products. The database is managed by China Food and Drug Administration (CFDA) and information exchanged via established XML. Manufacturers must request serial numbers for each CFDA registered item code in advance from CFDA Electronic Drug Monitoring Network Database (EDMN-DB). Following packaging the manufacturer activates serial numbers in CFDA EDMN-DB. Contract packaging reported to manufacturer who reports to EDMN-DB. When shipped to warehouse the movement is recorded in EDMN-DB. Each movement in supply chain reported as stock in and stock out reports to the EDMN-DB. Dispensing or patient may verify item with EDMN-DB. There are several very specific requirements for manufacturers and wholesalers that will be defined based on your company procedures and business systems. Projects have delivered (1) strategy, (2) project roadmap and plans, (3) User Requirement Specification (URS) for (a) enterprise serialization, (b) packaging systems, (c) warehouse/shipping (referred to as EDGE), and (d) regulatory reporting such as e-pedigree, (4) contract manufacturer and logistics provider requirements and governance, (5) compliance with global regulatory requirements, (6) functional and design specifications, (8) business system and packaging designs and architectures, (9) pilot planning and scenarios, (10) GAMP based validation, and (11) vendor selection. Projects have included solutions involving serialization, track and trace, electronic pedigree (e-Pedigree), country traceability reporting (i.e., Turkish Ministry of Health, China, etc. ), radio frequency identification (RFID), barcoding and scanning, GS1 electronic product code information services (EPCIS), supply chain, warehousing and Electronic Data Interchange (EDI). Pharma Logic Solutions is a longstanding Solution Provider for GS1 US Healthcare. Strategy, business and user requirements, designs and implementations have included solutions from SAP (ECC, SCM, Aii, OER, Aie), JD Edwards, Oracle (OPSM, OPM), Manhattan Associates, MAPICS, Acsis (ProducTrak), Axway, rfXcel, Frequentz, Systech, Optel Vision (TrackSafe, Line Master, PharmaProof), Cognex, Mettler Toledo, Seidenader (Körber Medipak), Antares Vision (Xyntek), Laetus, ROC-IT Solutions, TAKE Solutions, Uhlmann, Nosco, Werum PAS-X, Tracelink, Videojet and others. Contact us to discuss your needs and contrast the Pharma Logic Solutions solutions against previous providers to see why our approach is the ideal solution.